MasterCard wants to ditch the old-fashioned password and use selfies to approve online purchases. The company announced it is launching new mobile technologies that will allow customers to authenticate their online purchases using selfies or fingerprints. The technology will be rolled out by big banks in the U.S., Canada, the U.K. and some European countries over the next few months. 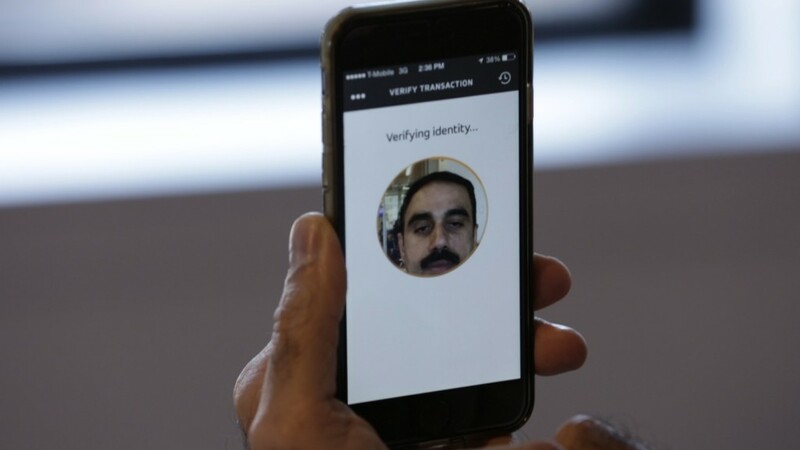 People from around the world will be regularly using this authentication technology within five years, said Ajay Bhalla, president of enterprise security solutions at MasterCard (MA). Bhalla said that using facial and fingerprint scans for purchases is safer than typed passwords since many customers foolishly use easy-to-guess codes. Customers who want to try selfie authentication will have to download a special MasterCard app that will allow them to take a photo each time they make an online purchase. Their face (or fingerprint) will be scanned to prove that they -- not hackers or thieves -- are making a purchase. The scan will verify that it's a legitimate selfie -- instead of a previously taken photo -- by requiring users to blink when they take their own photo. The fingerprint authentication can be used on new smartphones, including the iPhone 6 and iPhone 6S. MasterCard said it's also working on other ways to authenticate purchases, including monitoring a customer's heartbeat. Iris scans and voice recognition are also being explored. 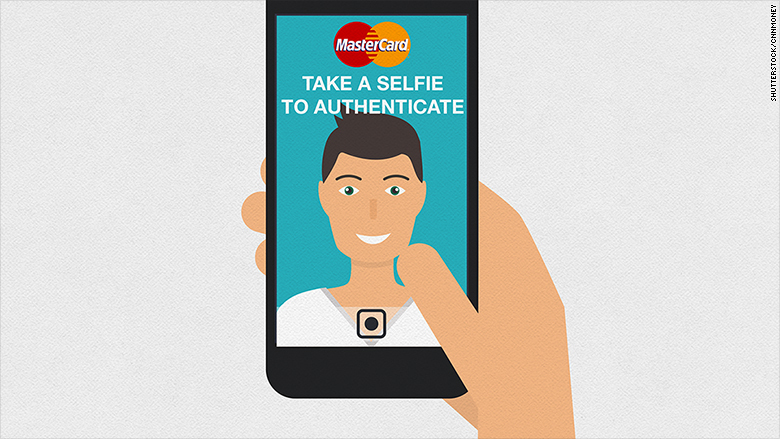 Smile for your MasterCard authentication selfie! MasterCard is not alone in introducing new technology to replace typed passwords. HSBC (HSBC) announced last week that millions of account holders would soon be able to use their voice and fingerprints to access their money. People who use HSBC's phone banking services will be able to register their voice with the company instead of using a regular password. Special voice biometrics technology will analyze a customer's voice when they call the bank. Even if customers get a cold, the technology should still work. Customers with the latest iPhones -- which already boast fingerprint login technology -- will be able to access their accounts on their mobile phones using their fingerprint.